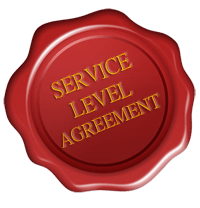 The story that rocked the cloud world this week was that Microsoft started to provide an SLA (Service Level Agreement) for single instance Virtual Machines. Before this change, customers we’re only eligible for such support guidelines when deploying at least two Virtual Machines in an availability set. The difficulty here is that many older applications aren’t suited for this type of deployment, to not even mention the backend of those applications (databases, message repositories, etc). The single instance VM needs to use Premium Storage for all disks. When you meet this single requirement on your single VM, you acquire an uptime guarantee of 99.9%.